The recipient of an 834 transaction must respond with a 999 Implementation Acknowledgement, which confirms that the file was received and provides feedback on the acceptance of the document. For healthcare organizations required to comply with HIPAA 5010 standards, 1 EDI Source can help with complete, turn-key solutions. Let our EDI experts handle your entire program, including trading partner relationships, compliance with HIPAA and trading partner requirements, all hardware and software needs and more. Contact 1 EDI Source to learn more about our EDI Outsourcing services. 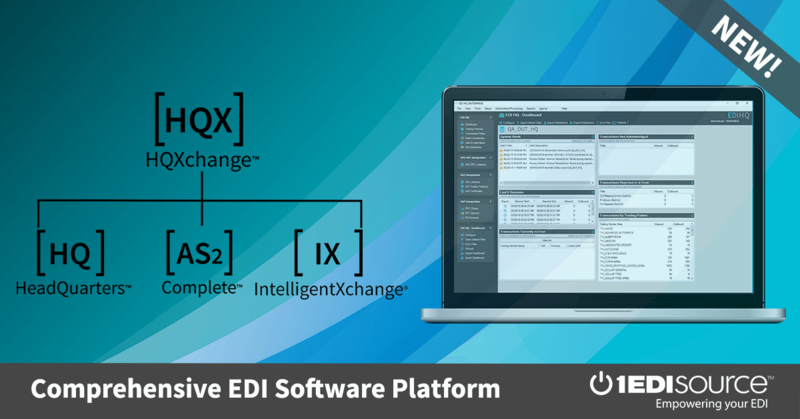 This X12 Transaction Set contains the format and establishes the data contents of the Benefit Enrollment and Maintenance Transaction Set (834) for use within the context of an Electronic Data Interchange (EDI) environment. This transaction set can be used to establish communication between the sponsor of the insurance product and the payer. Such transaction(s) may or may not take place through a third party administrator (TPA). For the purpose of this standard, the sponsor is the party or entity that ultimately pays for the coverage, benefit or product. A sponsor can be an employer, union, government agency, association, or insurance agency. The payer refers to an entity that pays claims, administers the insurance product or benefit, or both. A payer can be an insurance company, health maintenance organization (HMO), preferred provider organization (PPO), government agency (Medicare, Medicaid, Champus, etc. ), or an entity that may be contracted by one of these former groups. For the purpose of the 834 transaction set, a third party administrator (TPA) can be contracted by a sponsor to handle data gathering from those covered by the sponsor if the sponsor does not elect to perform this function itself.